Halo effect refer to the widespread human tendency in impression formation to assume that once a person possesses some positive or negative characteristic, other as yet unknown qualities will also be positive or negative, in other words, consistent with the existing impression. It seems as if known personal characteristics radiate a positive or negative halo (hence the name halo effect), influencing a person’s expectations about other as yet unknown qualities. Halo effects reflect the apparent belief that positive and negative characteristics occur in consistent patterns. For example, if you have a positive impression of your colleague Sue because she is always clean and well groomed, and somebody asks you whether Sue would be the right person to organize the office party, you are more likely to answer yes, not because you have any real information about Sue’s organizational abilities but because you already have an existing positive impression of her. Halo effect were first described in the 1920s by Edward L. Thorndike, and numerous experimental studies have since documented their existence. Halo effects can operate in strange ways, especially when the known qualities of a person are totally unrelated to the characteristics to be inferred. For example, external, physical appearance often serves as the basis for inferring internal, unrelated personal qualities. This was first shown in a study that found that physically attractive women were judged to have more desirable internal qualities (personality, competence, happiness, etc.) than homely, unattractive looking women. In a similar way, several studies found that attractive looking people are often judged less severely when they commit a transgression, and attractive looking children are punished less severely than unattractive children when committing the same misdemeanor. The fact that people are even prepared to make judgments about another person’s personality, let alone culpability, based on that person’s physical attractiveness is quite surprising. People can perform this task only by confidently extrapolating from physical attractiveness to other, unknown, and hidden qualities. 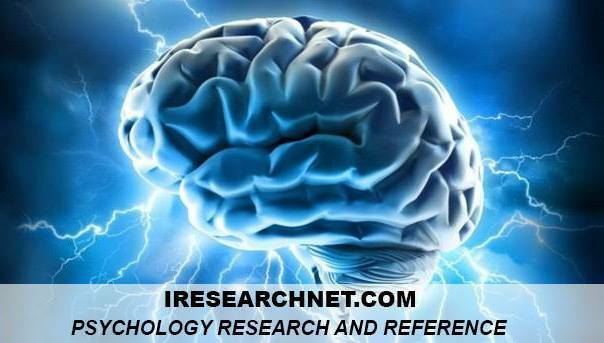 Halo effects occur because human social perception is a highly constructive process. As humans form impressions of people, they do not simply rely on objective information, but they actively construct a meaningful, coherent image that fits in with what they already know. This tendency to form meaningful, well-formed, and consistent impressions is also confirmed by other studies conceived within the Gestalt theoretical tradition (represented in social psychology by the work of Solomon Asch, for example). Halo effect represent an extremely widespread phenomenon in impression formation judgments. Even something as innocuous as a person’s name may give rise to halo effects. In one telling experiment, schoolteachers were asked to rate compositions allegedly written by third- and fourth-grade children. The children were only identified by their given names, which were either conventional names (e.g., David, Michael) or were unusual names (e.g., Elmer, Hubert). These researchers found that exactly the same essay was rated almost one mark worse when the writer had an unusual name than when the writer had a common, familiar name. In this case, names exerted a halo effect on the way a completely unrelated issue, essay quality, was assessed. In some intriguing cases, halo effects also operate in a reverse direction: Assumed personal qualities may influence people’s perceptions of a person’s observable, objective external qualities. In one fascinating experiment, students were asked to listen to a guest lecture. Some were told that the lecturer was a high-status academic from a prestigious university. Others were told that the lecturer was a low-status academic from a second-rate university. After the lecture, all students completed a series of judgments about the guest lecturer. Among other questions, they were also asked to estimate the physical height of the lecturer. Amazingly, those who believed the lecturer to be of high academic status overestimated his physical height by almost 6 centimeters compared to those who believed him to be a low-status person. In this case, academic status exerted a halo effect on perceptions of height, despite the fact that height is in fact a directly observable, physical quality. When a known negative characteristic gives rise to unjustified negative inferences about the unrelated qualities of a person, the halo effect is sometimes called the devil effect or the horn effect. For example, if your office colleague is often unshaven or unkempt, people are more likely to assume that the person is lazy or incompetent, even though these two qualities may be unrelated. 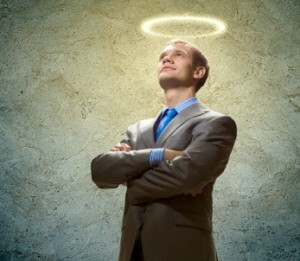 The existence of halo effect may often give rise to long-term biases and distortions to the way a person is assessed. If people expect a person to have generally positive or negative qualities based on very limited information, it is usually possible to find subsequent evidence to confirm such expectations given the rich and multifaceted nature of human behavior. Such biases may lead to a self-fulfilling prophecy, when people selectively look for and find information to confirm an unjustified original expectation, often triggered by an initial halo effect. The practical consequences of halo effects can be very important in personal and working life, as people will draw unjustifiable inferences on limited samples of behavior. Being untidy, messy, unattractive looking, or late may lead to more negative judgments about other hidden qualities. The principle appears to be the following: Emphasize positive details, and avoid giving people any negative information about yourself, especially when they do not know you very well and so are likely to draw unfavorable inferences based on limited and easily accessible information. Forgas, J. P. (1985). Interpersonal behaviour. Oxford, UK: Pergamon Press.